talked my friend into going shooting today. didn't have to twist her arm though with January temps in the 40's and clear blue skies. 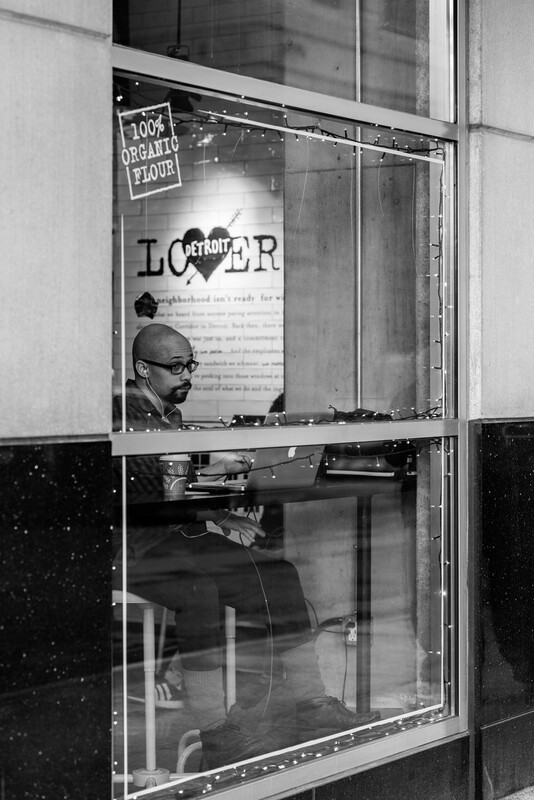 detroit has so many eateries and coffee shops to pull up a stool, open a computer or enjoy a drink and people watch! Love the black and white composition! Great shot! Love Detroit! I live in Windsor! Love how he's framed by the window and his very interesting expression.